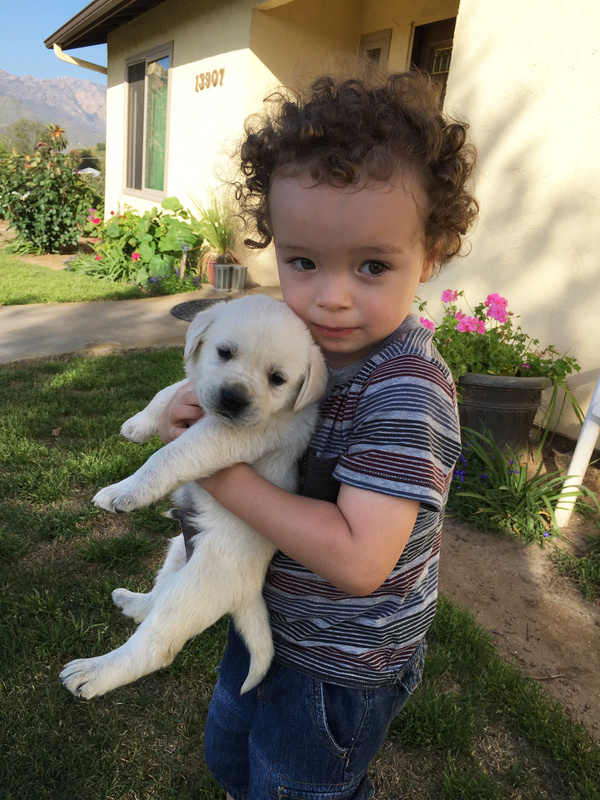 OUR PUPPIES COME KID APPROVED! 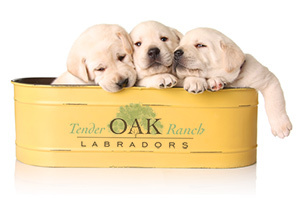 Tender Oak Ranch Labradors breeds purebred AKC Labrador Retrievers, specializing in beautiful yellow and white Labs here at our San Diego ranch and also at our daughter’s ranch up north. 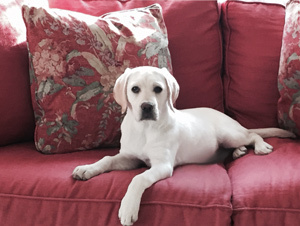 Our Labs are raised as beloved family pets and never housed in kennels. Currently here on our southern California property, we have four adult Labs and at our ranch up north, we have three adult Labs. We also own other females who have been raised by friends and other family members, again as beloved family pets. Occasionally, these females have pups. This was the case with our recent litter from Lassie Love of Tender Oak Ranch. 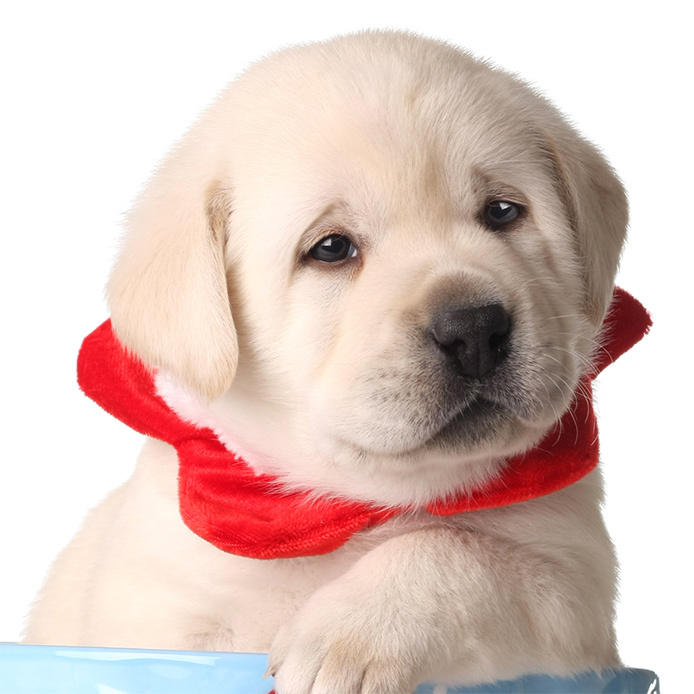 After viewing our website, we hope you’ll agree that Tender Oak Ranch is a great place to look for purebred AKC Labrador Retriever puppies. All our pups are from sire and dams who are beloved family pets. Don’t miss reading the grateful notes of appreciation from our previous puppy buyers at the bottom of this page. Every boy needs a best friend!